I can’t believe last night was the half way mark of this project and I fell asleep and didn’t make a mosaic. I knew exactly what I wanted to make but I was just so tired. I didn’t want to skip it completely so I created it tonight. I’ve been obsessed with birds lately. 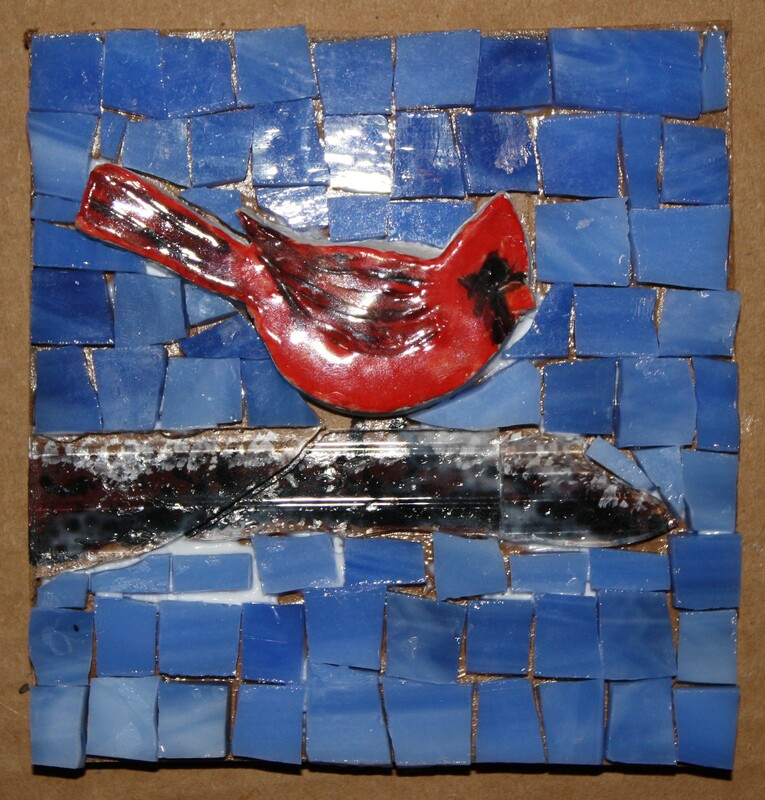 I made this cardinal about a month ago as a practice for a bigger piece I’m creating with lots of birds. I just couldn’t figure out a good branch for the cardinal to sit on. After I did the ice mosaic this week I realized that an icy branch would be perfect! I love this little cardinal! Beautiful! I think God did his best work when he created the birds and fish and sunsets. He would live your rendition of His creations! Thank you so much for the kind thoughts.